Why is my body revolting against the one thing I’ve dreamed of most? Those “why” questions are brutal on our hearts, aren’t they? If we let them, they will stir up an emotional windstorm, driving frustration, fear, and anger deeper into the broken places of our hearts. These questions bring us to our knees under the weight of knowing we may never find answers. There was a moment, the kind of moment that both bruises your spirit and brings healing at the same time, when I realized that even if I was blessed to have answers to all of those “why” questions, my journey of infertility would not be easier. What if I knew the answer to “why do I not have a baby?” It would not make the journey easier – I’d still be on the long and painful road to becoming a mommy. It was then that I experienced a notable shift in my thinking. 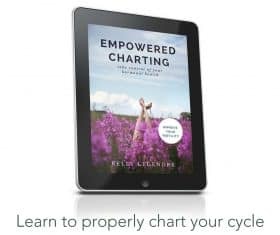 When I realized that knowing the answers to “why” would not satisfy my heart’s desire, I knew it was time to step up out of the self-pity and doubt, and start asking new questions. 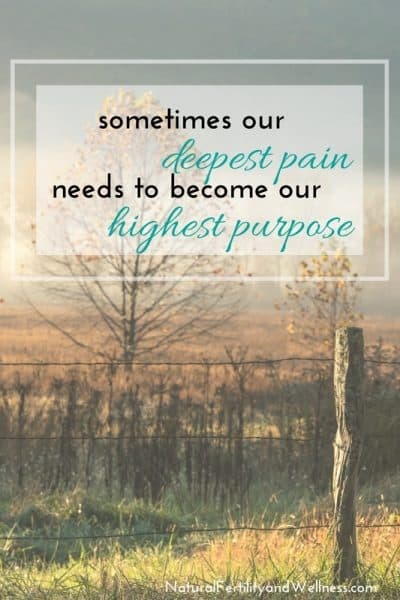 My perspective shifted, and I embraced the reality that sometimes our deepest pain needs to become our highest purpose. As I reflected on my journey, the pain, the hopes, the frustration, the joys, the sorrows, I knew that if I was going to find purpose in this journey I needed to ask different questions. I mustered up as much shaky commitment as I could, giving myself a pep talk in the bathroom mirror. I shelved the “why?” questions and began asking “how?” questions. As isolated as I often felt, I knew I wasn’t really alone in this journey. 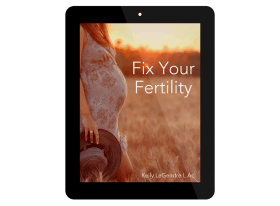 Infertility affects roughly one in eight couples in the United States, and I knew that my struggle was a common one. What if my story resonated with another who is hurting and we bond over our unique, but similar stories and bring each other comfort and healing? Wouldn’t that turn the pain into a beautiful purpose? This question may sound ridiculous to some of you, but I’d waited my whole life to become a mother, and when our plan failed, I spent many long days and nights redefining my purpose and value. The answer to this question will be as different and unique as our own stories, but part of my purpose was to tell my story, to nurture community for those of us who find ourselves standing on the outside looking in on motherhood and parenting. Those of us who long to be mommies understand the deep value of investing in the life of a child, and we ache for the day when we will have the honor and privilege of pouring our heart and life into our own little one. The thing is, we don’t have to wait to have our own little one to invest in the lives of children. Our nieces, nephews, and our friends’ children all need positive influence and unconditional love. When I realized how important it was to me to make a difference in the life of a child, I knew that there were opportunities right in front of me that I needed to embrace. Being in relationship, encouraging and loving on little kids is a powerful salve for a wounded spirit. I think there is a time in the journey of infertility where the hurt and pain is normal and grieving is the natural response to all of the let downs. But there’s also a time where turning the pain into a passion and purpose brings healing to ourselves and encouragement to others. What “how?” questions can you ask yourself as you move from that place of pain and frustration to a place of purpose? In 2012, after opening up about her three year journey through infertility, Amanda decided to combine her desire for connecting like-minded women with her passion for story crafting and launched a Christian lifestyle blog, A Royal Daughter. Facing unexplained infertility wrecked her in the most painful, yet glorious way, and gave her a platform to share what so many infertile women want to say, but often don't. Her desire is to offer to those who do not know the pain first hand an inside look at infertility and to encourage those who face the frustrating struggle to do so with grace and dignity. She holds a Bachelor of Arts in Religion, has an eye for graphic design and a keen interest in personal branding. She and her husband live on a small farm in Texas where they enjoy pursuing a semi-sustainable lifestyle by ranching and gardening. It was so interesting to read your blog as these are the questions that I work with every day. When I see a client for fertility hypnosis they will have experienced such similar emotions. With hypnosis I try and resolve some of those conflicts and create a state of peace and relaxation so that conception is much more likely to happen.